Whether you use a mug for fresh coffee, steaming tea, rich hot chocolate, spiced cider, soup or chowder – or as a tankard for your favorite beer, be it lager, pilsner or stout – the right feel is essential. This is something that you use every day. Get it right! 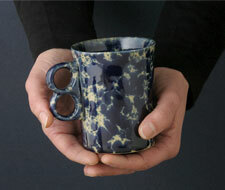 We offer handmade stoneware mugs in a variety of sizes, shapes and glaze colors to fit everyone. 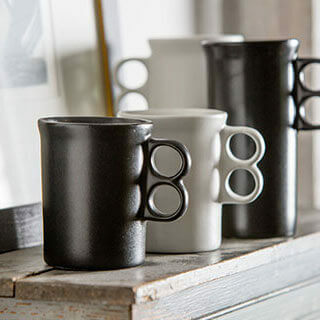 Find the perfect one for any hand – be it little, large, dainty, strong – Bennington Potters has you covered.